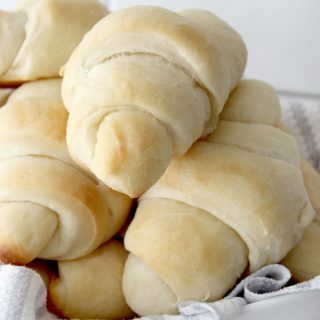 Classic homemade rolls that are melt-in-your-mouth good! These classic homemade dinner rolls will please any palate! 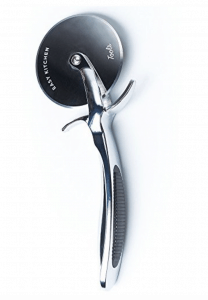 They are great at Sunday dinners and a staple at every holiday gathering! 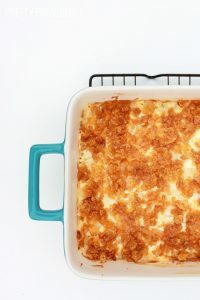 I don’t think there is a single recipe on earth that is more reminiscent of my childhood holiday get togethers than this one. 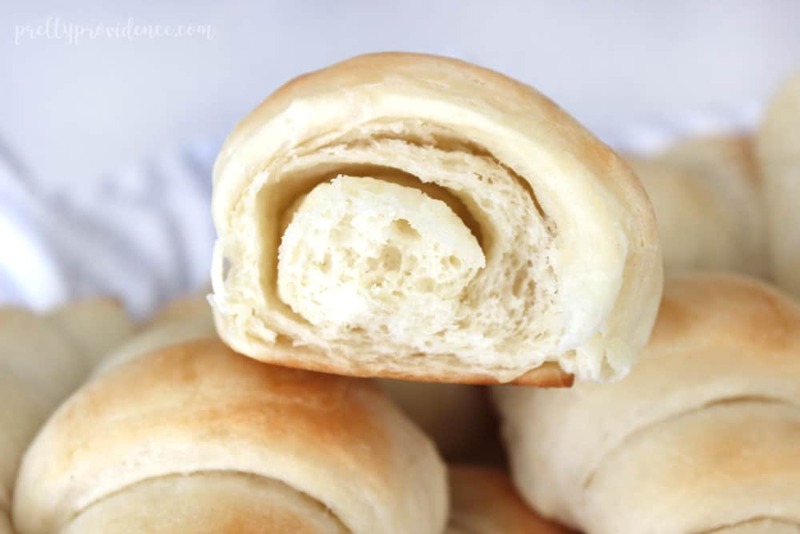 My Grandma’s homemade rolls were a staple at every Easter, Thanksgiving and Christmas get together, not to mention every baptism, missionary farewell or wedding shower! 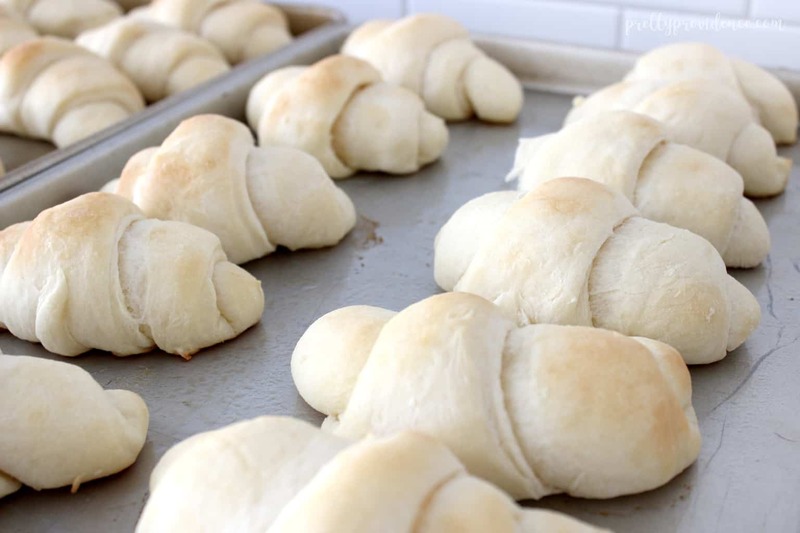 If a family event was happening, we all knew these rolls would be present, and the person preparing them would be sure to make a few extra pans knowing that plenty would be snitched before we even sat down to dinner! Even just the smell of these rolls cooking is enough to send all the positive endorphins to my brain. Fresh homemade rolls baking is just one of those happy “I’m home” type smells, don’t you think?! 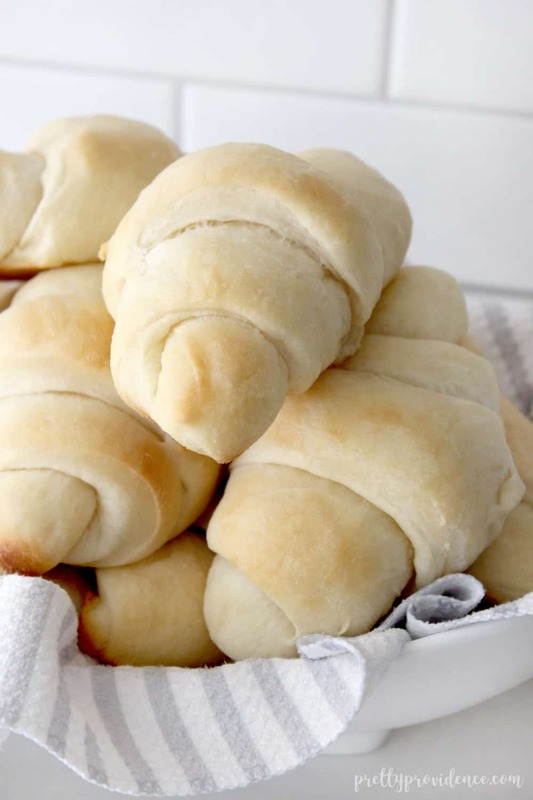 If you don’t have a perfect recipe for homemade rolls yet, look no further. I am excited to share ours with you today- because things this beautiful are just meant to be shared. 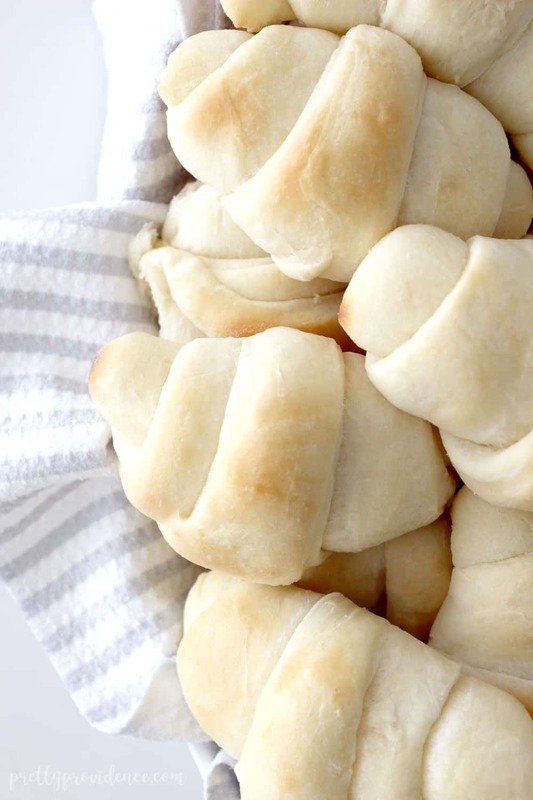 When I recently had my fourth baby my mom came into town to help me and she asked if there was anything I was craving and Grandma’s homemade rolls popped right into my mind. 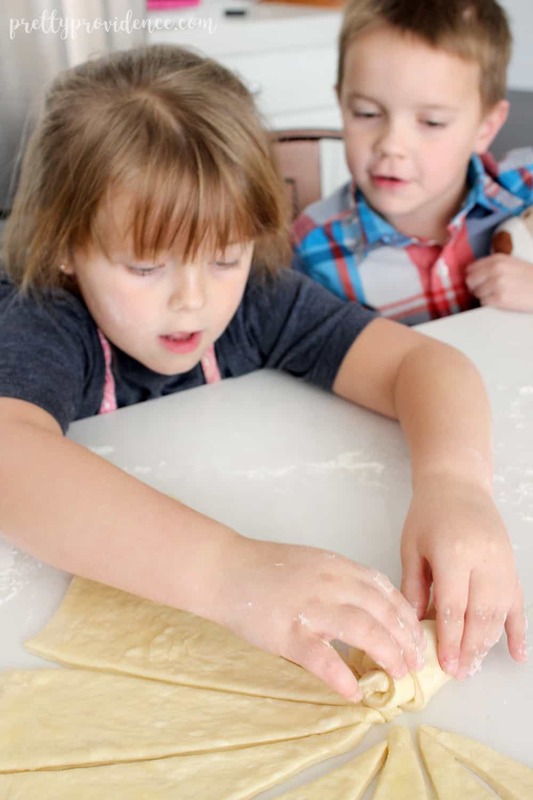 Being the angel that she is, she agreed to make them and observing her teach my older babies how to make this great family tradition was so special to me. Just looking at these pictures my heart could burst! Suffice it to say, my carb loving kids are obsessed with them as well, haha! 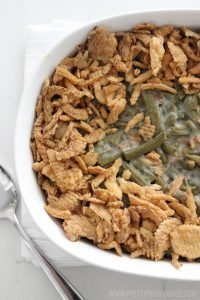 This recipe makes a TON so since we weren’t bringing them to a party or anything we just stored them in a large tupperware bowl and ate them all week long! Zip lock bags work great too. Here is a picture of them all risen and rolled and ready to go into the oven! And here they are right after they came out! You ready for this recipe?! It’s a life changer! Mix and let rest your fresh yeast, 2 T of sugar and 2 cups of warm water. Stir in your nine cups of flour slowly. 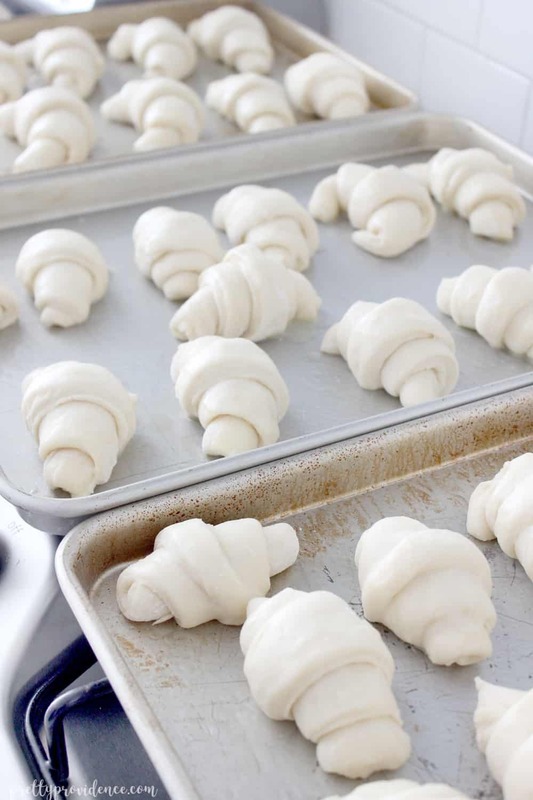 DO NOT KNEAD. Cover and let rise until about double in size. Push air out with fists, and again let rise until double. 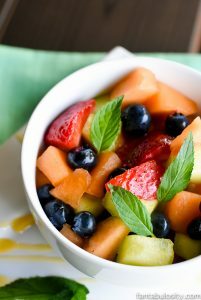 *It is a good idea to coat the bowl lightly with cooking spray first. 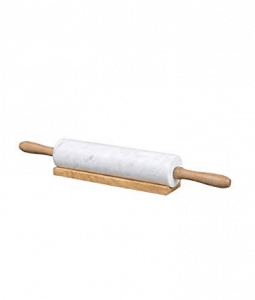 Roll each part into its own thin circle (it can help if you work the dough into a nice round shape before you start rolling. 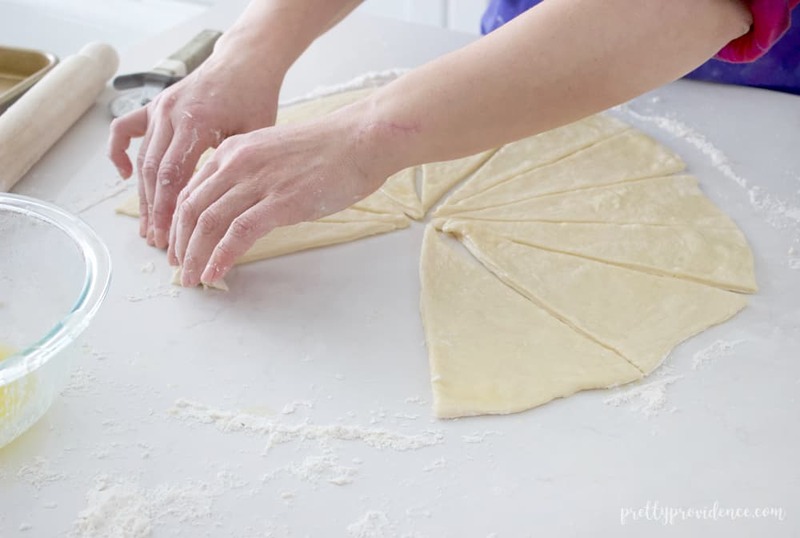 Butter each circle with soft butter and a pastry brush, then cut each circle pizza style into 16 even wedge shaped pieces. 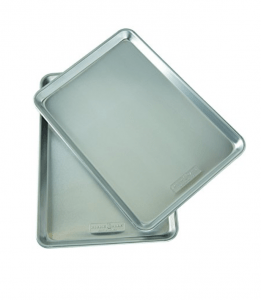 Roll each wedge up from wide edge to pointed tip and place well apart on a greased cookie sheet, then brush tops again with butter. Let rise again until about double, if I have my kitchen warm this takes a few hours. Bake at 400 degrees for 5-6 minutes or until golden brown. When they come out brush lightly with butter. ENJOY! Just for fun, here is an image of the original recipe in my Grammy’s handwriting. I know I will always cherish that picture! Look at those perfect beauties! I hope you love them as much as we do! If you’re looking for another tasty side to serve with these babies these easy deviled eggs with cheese and bacon are amazing! 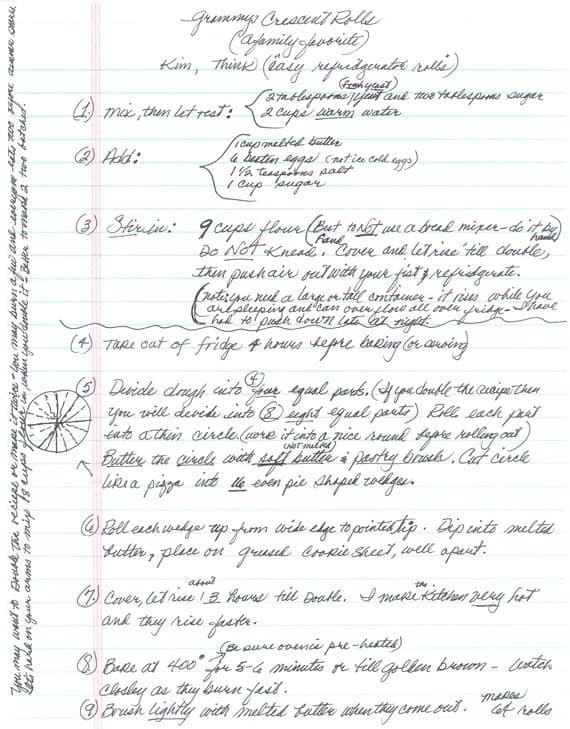 I love that you have your grandma’s hand written recipe!